Rotton Park Junction signpost on the Birmingham Canal Navigations (BCN). 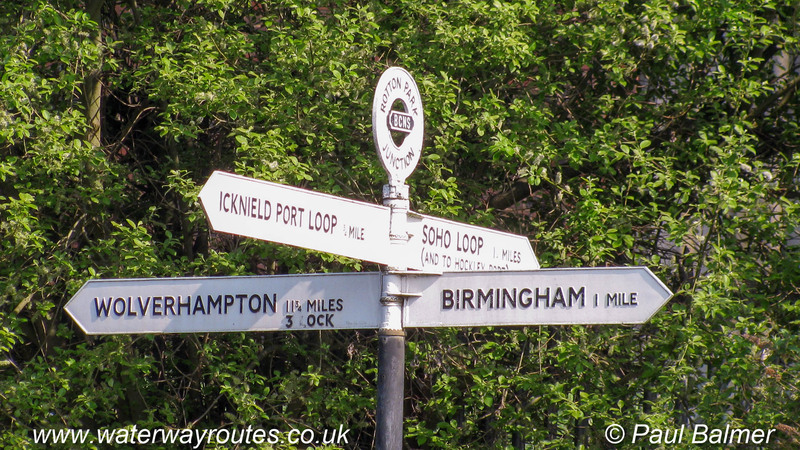 The Birmingham Canal Navigations (BCN) Main Line runs from Birmingham to Wolverhampton. The original route of the canal now forms the Icknield Port Loop and the Soho Loop which diverge at this junction.